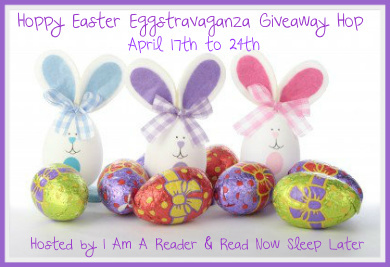 Welcome to my stop on the Hoppy Easter Eggstravaganza Giveaway Hop! Thanks to I Am A Reader, Not A Writer and Read Now Sleep Later for hosting. Lots of bloggers are giving away books and bookish stuff. To learn more, click HERE. 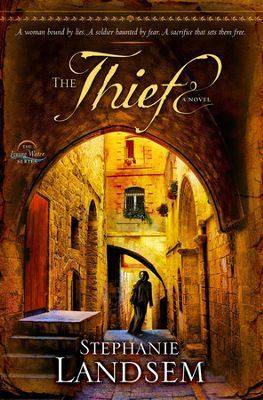 To celebrate, I am giving away a copy of Stephanie Landsem’s The Thief. To enter, just leave me a comment. The hop runs through April 24. Good luck! I read a great interview with this author and it made me want to read this book! Thanks for the giveaway! Oh my goodness I really want to read this book! It sounds soooooo good! Thank you for doing a giveaway of it! Not sure if you need my email, but it’s sylvesternator (at) yahoo (dot) com! Ooh! I’d never heard of this one until now! I’ve added it to my TBR. thanks for offering a giveaway! It sounds like a wonderful book. I’m looking forward to finding out what Nissa’s secret is. Thanks for having this giveaway. This book sounds intriguing. Thanks for the chance! This sounds like an amazing book. Thank for the giveaway! I’ve heard so many good things about this book! Biblical Fiction is my favorite genre. I appreciate your reviews. Thank you so much for taking the time to do them. Heard many good things about this book….must read! This sounds like a good book, and obviously great to read around Easter! Happy Easter and thanks for the chance to win! Oh, this really looks like a good read!! I have a friend who told me to read this book that it is great. This book sounds wonderful. What a fun hop. this book sounds great thank you for the giveaway and happy hopping!! wow the review of this book makes me really want to read it……Hope that i win!!!! This sounds like a great book! =) Thank you for this giveaway! Thanks for the chance! Love finding new books to read!! Sounds like a fabulous book. Thanks for the giveaway! This sounds like such a great book, and so appropriate for an Easter giveaway.